About to see a patient that was just adopted from the shelter? Need a review of how to treat these infectious diseases? 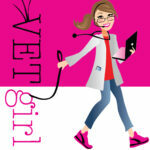 Join us for a unique, 1.5-hour, online veterinary continuing education VETgirl webinar, where Dr. Justine Lee, DACVECC, DABT, teams up with shelter veterinarian, Dr. Graham Brayshaw, DVM. In this lecture, we'll review common presenting shelter problems that are frequently seen by the general practitioner. Examples include how to medical manage canine parvovirus on an outpatient therapy, how to treat upper respiratory infections (and which pharmacological interventions work), the most appropriate antibiotic therapy for kennel cough, the 100% cure for ringworm in just 14-21 days, and treatment of feline inflammatory cystitis (FIC) in cats. Yes, it’s ok to spike the bag PROVIDED you calculate (on your own), the safe rate of potassium supplementation (0.5 mEq/kg/hour) based on the weight of hte patient. As for antibiotic choices, I don’t traditionally reach for amikacin unless it’s a VERY severe, Gram negative infection.